What better place to explore Austro-British relations than the mountains? The higher the better – after all, it were alpinists from Britain that started the craze about mountaineering, climbing, and even skiing. Even today, these are the main reasons why British people come to Austria. There is an aspect, however, that is less well known – the first woman alpinists. There were such courageous women practically from the outset. The first recorded ascent of Mont Blanc took place in 1786 – all male, at that time; but only 13 years later, in 1799, we have the first woman climber on record: a certain Miss Parminter (three guesses where she came from) on Le Buet in the French Alps, which – although not quite as high as Mont Blanc – still soars to a stunning altitude of 3,096 meters. There was no lack of women following her example. Mont Blanc itself did not escape the fate of being conquered by woman, although it held out until 1838. 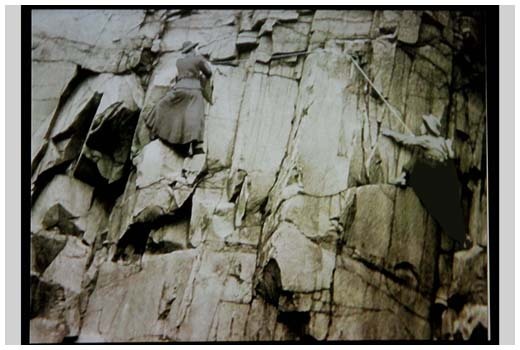 Not even the Matterhorn could intimidate woman climbers after 1871. In the late 19th century the Dolomites were a popular destination for mountaineers, even attracting European royalty. Two sisters, Ilona and Rolanda von Eötvös, won some fame there for their climbing feats. 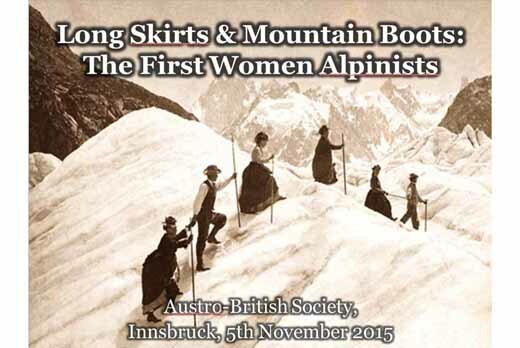 To modern eyes, the outfit of all these woman alpinists certainly is the most astonishing feature. After all, they had to make their ascent dressed in an ankle-long skirt, a blouse, and even a proper hat. There are pictures showing woman climbers traversing a steep precipice in such outfit. It must have made the challenge even greater than it was for their male counterparts. Quite obviously, the women were not daunted. They were pioneers in an outdoor activity that today is shared by countless enthusiasts regardless of gender – and this has become so common that we can hardly imagine any other state. Milijana’s audience gained from the fact that she herself is an expert as she is following in the early woman mountaineers’ footsteps, although she is not wearing a long skirt – or so we surmise.